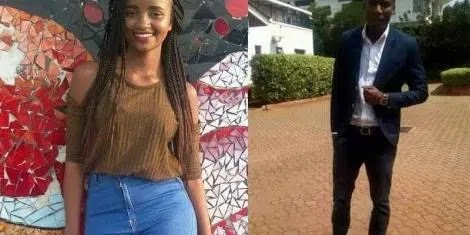 Tuesday April 16, 2019-Naftali Kinuthia, the estranged lover to the late Moi University medical student, Ivy Wangechi, who hacked her to death in cold blood, may after all get off easy even after committing the heinous crime. This is after detectives probing the matter ruled out the murder of Ivy may have been premeditated as earlier said. According to detectives, Kinuthia did not travel to Eldoret with the express intention of killing Wangechi but to mend their dwindling relationship. Phone conversation between the two indicated the suspect had first visited the slain student in Eldoret on Friday, April 5, to discuss pressing issues in their relationship. Kinuthia had suspected that Ivy was cheating on him five years into their relationship. And one thing led to the other and he ended up killing her without knowing. Kinuthia’s charges may now be reduced to manslaughter and not the first degree murder as had been rumoured.